Liturgical Ministers are lay ministers who are part of the Church’s Liturgical celebrations, i.e., Extraordinary Ministers of Holy Communion (also known as Eucharistic Ministers), Lectors, Ushers, Altar Servers, and Music Ministers (Musicians, Cantors, Choirs). We have also included in this section: 1) Sacristans and 2) the Altar Society who, although not participants in the Liturgies themselves, do so much to help prepare for the celebration of our Liturgies. Please take some time to click on the "links" to the left side of this page to see what each of these Liturgical Ministries entail. If you are able, consider volunteering in one of these ministires. What is a Minister? In the Catholic Church the term minister enjoys a variety of usages. It most commonly refers to a lay person who is commissioned to perform some act on behalf of the Church. It is not a particular office or rank of Catholic clergy, as is the case in some Protestant churches, but minister may be used as a collective term for vocational or professional pastoral leaders including clergy (bishops, deacons, priests) and non-clergy (theologians and lay ecclesial ministers). It is also used in reference to the canonical and liturgical administration of Sacraments, as part of some offices, and with reference to the exercise of the lay apostolate. Scripturally, various passages utilize the language of servant ("ministri") to indicate those charged with spiritual functions or pastoral care of the community (1 Corinthians 4:1–2; Hebrews 8:2; Matthew 20:26, etc.). In a general sense, any Christian exercising a ministry is a minister. Since all the baptized are part of the universal priesthood, whenever they engage in their vocation to evangelize the world and to help those in need, they are ministers. 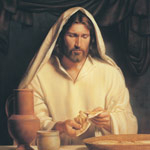 In addition, the Church calls people to the responsible stewardship of their time and talent in support of the Church. This often takes the form of volunteering for a specific lay ministry, most of which are liturgical, catechetical, or related to pastoral care or social justice.